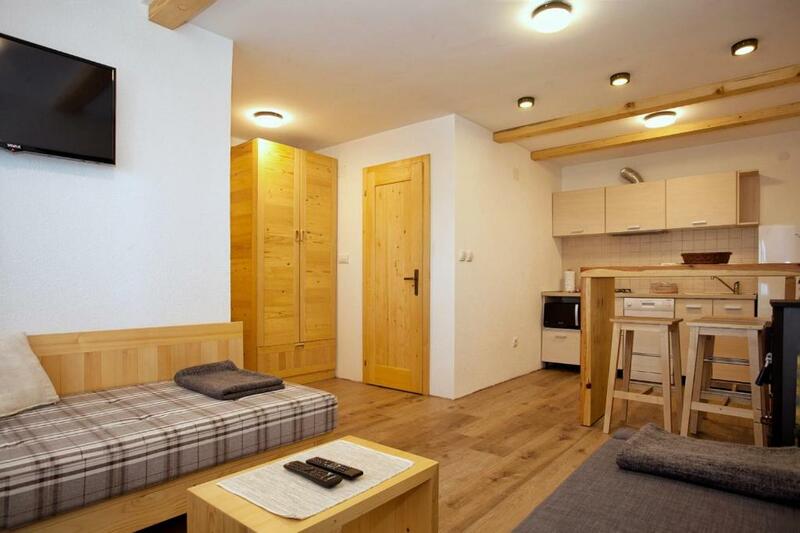 Lock in a great price for HostGost at Čupino Sokače – rated 9.7 by recent guests! Located 3.7 miles from Kopaonik SKI Resort, HostGost at Čupino Sokače offers accommodations with a kitchen in Kopaonik. Free WiFi is available. This vacation home with mountain views has a bathroom with a shower and a hair dryer. A flat-screen TV is offered. The vacation home has a terrace. 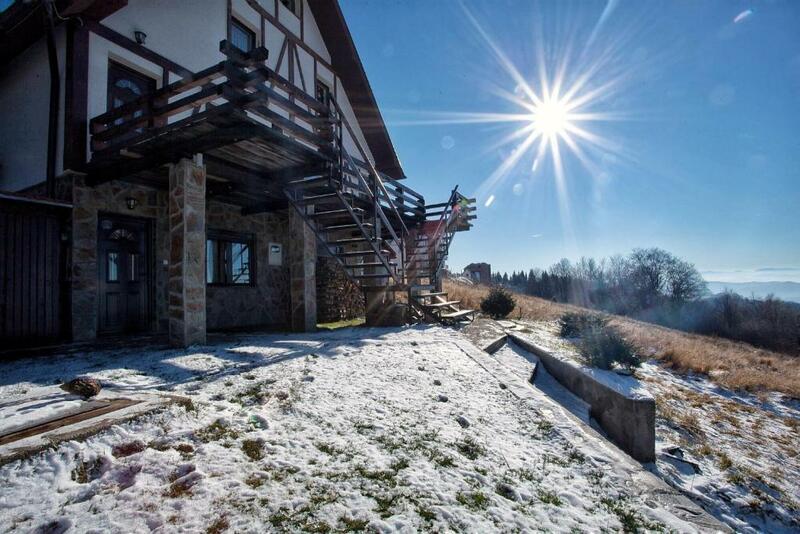 Skiing, cycling and hiking are possible within the area, and HostGost at Čupino Sokače offers ski storage space. Ledenica ski lift is 5 miles from the accommodation, while Gvozdac ski lift is 5 miles away. Pristina International Airport is 71 miles from the property. When would you like to stay at HostGost at Čupino Sokače? 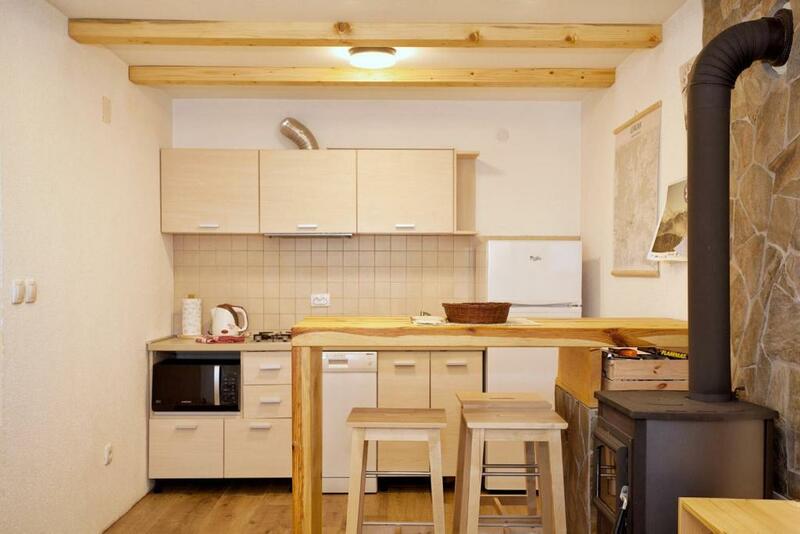 HostGost at Čupino Sokače is cozy, bright, warm and comfortable studio, accommodating up to 3 persons. 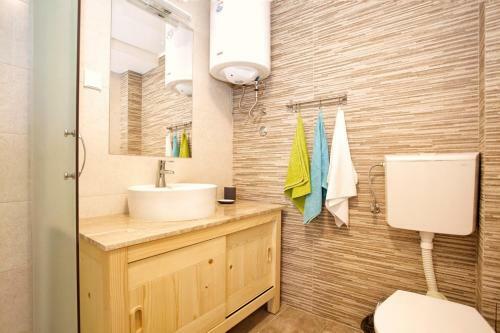 It is a ground floor apartment, with own entrance, in a family owned house. 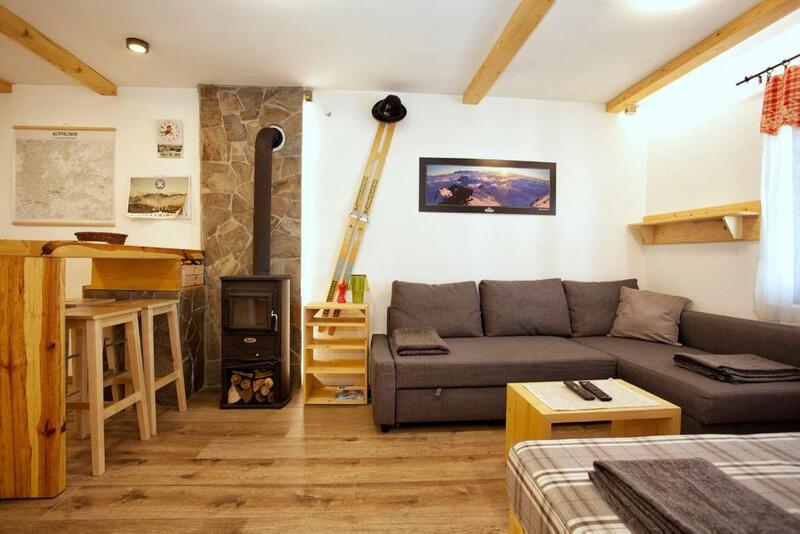 The studio has small hallway for ski storage, from which you enter living and sleeping room and kitchen area. In the LIVING ROOM there is a seating area by the window, which easily turns into double bed, and a separate sofa which serves as a single bed. We provide guests with towels and linens. The room is equipped with the wardrobe, flat screen TV with local and international stations. Massive wooden bar separates living area and kitchen, serving also as a dining table. Wood stove adds warm atmosphere of a cozy mountain home. KITCHEN is equipped with fridge & freezer, gas stove, microwave oven and electric kettle. The whole apartment is equipped with FLOOR HEATING. Sparkling clean / Free WiFi / Ground floor The house is oriented to the west, so you can enjoy the front view and stunning sunset, overlooking mountain area towards Prokletije and Golija mountains. I am Marko Matijević, entrepreneur standing behind HostGost Property Management platform. As I come from world of skiing, our project of welcoming guests has started few years ago at Kopaonik ski resort and in 2018. we have decided to expand our business to Belgrade. At the moment we manage approximately 20 properties in Serbia and we have average review score of 9.5 summing all our Booking profiles. We are devoted to provide truly great guest experience. All our properties are sparkling clean, well equipped and well maintained. We provide our guests with useful amenities, easy check-in/out procedures and fast WiFi connection. The neighborhood: The neighborhood is very friendly, mainly families with children, spending their weekends and holidays in their own homes, so you can feel perfectly safe at any time. Free public parking is available in the main road, reservation is not possible. Getting araund: Public transport stop is just in the main road, 1 minute walk from the house. Local taxis are available almost 24 hours a day, throughout the whole year. Interaction with guests We believe that place has everything that you need but if you find something missing, need help or have any problem, feel free to call us and we will be more than happy to help you. Guests are kindly requested to carefully treat the amenities of the apartment as well as technical equipment and installations. Upon departing, the guests are obliged to close all windows, turn off the fire in the stove, turn off all water faucets, as well as the lights in the facility. Any damages made must be compensated. Please obey the house rules and respect the neighbors. For any other question, feel free to contact us. And welcome to Kopaonik! House Rules HostGost at Čupino Sokače takes special requests – add in the next step! Please inform HostGost at Čupino Sokače of your expected arrival time in advance. You can use the Special Requests box when booking, or contact the property directly using the contact details in your confirmation. The apartmant was really cozy and charming, clean and well equiped! It is really peaceful, a perfect mounting surrounding, we really enjoyed it and would definitely come back again! It is only 4 min walk to the nearest restaurant and spa!